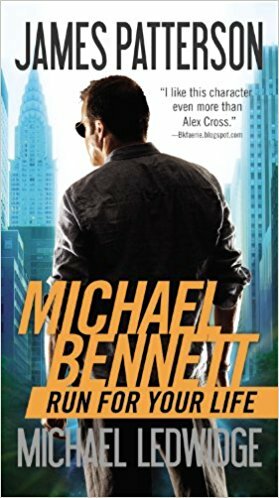 This book is part of the Michael Bennett series. A policeman who has an army of kids at home to manage on top of a busy job as a New York Cop. When a madman snaps and decides he wants to take revenge he starts a killing spree across New York. Detective Bennett is called in to hunt down the killer in the midst of a crisis at home when a bout of flu rips through his house full of kids. 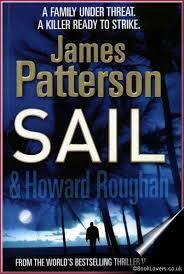 He has to juggle being a father to a group of sick kids, staying healthy himself and catching a killer. Will he be able to juggle his responsibilities and catch the killer before he strikes again? 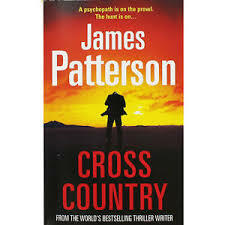 This book is from the Alex Cross series. It centres around the investigation of a brutal murder in the US that takes Alex Cross to Africa hunting the killer. But he quickly finds he has stepped into more than he can manage. In searching for a killer he becomes hunted himself and the murders pile up around him. Will he be able to save himself and his family whilst catching the killer and the people working behind him? Only time will tell. I really enjoyed this book. It was so easy and quick to read, I ate the pages up. The story surrounds a family holiday taken to reunite a wayward family but before they can even start to argue among themselves disaster strikes. They must be the most unlucky family in the world, because it just keeps getting worse. There wasn’t much in the way of plot twists, it pretty much ends the way you thought it would but that doesn’t mean I didn’t enjoy the journey. You need all sorts of books in your life. Sometimes you want to dive into an epic, others you want a read that flies by quickly that you don’t need to pour attention into. This is the latter and there is nothing wrong with that. It was part of a 3 book box set and I’m already half way through another one of the books in the box. I’m actually starting to see a dent forming in my ‘to read’ pile. I’ve promised myself I won’t buy any more books until I’ve got down to the last few to read and I’m sticking to the promise at the moment. Finally getting through books that have been waiting to be read for years is very satisfying. The last in the autobiography series was just as easily digested as all the rest. Although this book had less in the way of funny stories and was more about how life can take a cruel turn sometimes. Most of this volume focuses on Danny’s battle with cancer and he is very open and honest about what treatment is like in a way I think most people wouldn’t begin to imagine. Whilst it doesn’t make for an entertaining read at times it does connect you on a human level. How many of us know people who have gone through their own health battles and tried to offer what we feel is support in some way. I think sometimes reading honest accounts like this help not only the people directly going through the treatment but also the people around them that are affected in varying degrees. Because cancer doesn’t just affect one person, they get all the symptoms and treatment but the range of people it affects is much wider than that. Sometimes the immediate family and carers also need to be supported while the person they’ve known all their life changes into someone they never met before for a time. I’m glad I read these books as I think I learned something from them. I bought into the journey and laughed and cried my way through it in to the very end. 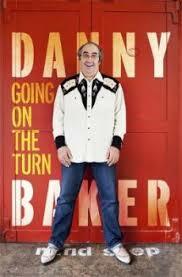 If you enjoy the books then why not follow Danny on Twitter, he can be quite entertaining at times! I found that writing a blog review has helped me keep track of and remember what I read but thanks to a birthday present bought for me out the blue I now have an easier way. My sister brought me a little book to record the Books I Have Read & Books I Want to Read which is a British Library backed idea. It’s a lovely little book with pretty pages where you can keep a record of what you read and jot down any books you come across that you want to read, you know when you need a little birthday list help! Luckily I had a helping hand with my blog to record the books I’ve read in the last few years. Somewhere I have a little notebook I used to record books into so if I find that then I can add a few more entries. The only downside is what happens when you fill a letter up?! I guess you just need to keep buying more of these books to keep track. It could be an issue for avid readers but it could also bring about a challenge – find books to read with titles that fit in your lesser used letters and then fill the whole book up before needing to buy a complete new one. That might be quite fun although how many book titles begin with the letter Z is anyone’s guess! Still for someone who enjoys reading it’s a nice little gift. 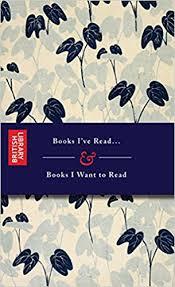 Posted in: Books	| Tagged: Book Record, Books I Have Read and Books I Want to Read, British Library, What have I read? I read the first volume of his autobiography a while ago but when struggling for items to add to my xmas list I put the next two parts down as an afterthought. 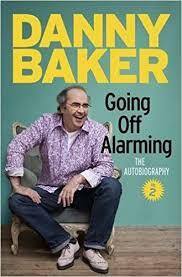 Honestly if you even vaguely know who Danny Baker is or ever watched and enjoyed Cradle to Grave the TV series then you need to read his autobiographies. I eat up the pages just trying to get to the end of whatever mad story I’m in the middle of and it makes me laugh out loud. It’s hard to believe that one person could live such a crazy and hectic life with so little in the way of planning and so much in the way of luck but he makes no bones about the honesty in it. He openly calls out the people who would disbelieve the tales as works of fiction and deals with the haters by saying he understands how people can have strong feelings about how he lives his life but it’s his life and he’ll live by his own rules. I think that’s one of the things that draws me to the books most, he is someone who is living their life without fear of other people’s opinions of him and I think we’d all like to be able to do that a bit more. I don’t really know what called me to read the first book, it was a present and I heard about it after following him on Twitter and watching the TV show (which I think has a second series out this year) but I couldn’t say I’ve ever been a fan of his work. I was probably too young in the 90’s to watch most of his TV shows, if I ever did I can’t recall now. I’ve obviously seen and long forgotten his TV adverts from the time, given that we couldn’t fast forward the ads back then! I’ve never been an avid radio listener and don’t recall hearing his shows at all. Hence why I can say I’m not really a fan of his work. However, I read about his life with a touch of jealousy that my own isn’t littered with more exciting stories worthy of 3 volumes. I could probably condense all the good stuff into a pamphlet, there was the time I sung on TV to 15 million viewers in my school choir, the time I got on a plane with strangers I met online and flew to the USA to watch two Kings of Leon shows, the time I literally bumped into Gloria Jones in the foyer of the Shepherds Bush Empire before the start of the 30th Anniversary Marc Bolan concert, numerous footballing high jinks stories and quite a few random celebrity sightings with the odd conversation thrown in. I can probably conjure up a few tales of high jinks from my school days, mostly running from my friends older brothers. The romance side is light of interest given I’ve only fallen in love once and now he’s blocked me from his life. I was infatuated with a colleague for 4 years but even though at times there were flashes of something there nothing more than a pre-xmas hug that lasted too long ever happened between us. 2018 was to be my year, inspired by some of the tales in this book to cast off the doldrums and stuck routine that my life has slipped into and go out in the world and have more fun and adventures. It’s time I started thinning out my bucket list, but given I started the year being blocked by the love of my life, I don’t think the universe is ready to cut me slack yet. I’ll just have to start volume 3 and see what inspiration I can get from that book! Maybe 2019 will be my year of fun! I really enjoyed this book. I love the way you get drawn into the characters and ate up the pages eager to see how it all worked out. It’s set in the second world war and instead of centring around England and Germany it firmly focuses on Denmark and how the Nazi occupation brought about change in the country. It surrounds efforts made by the English Secret Services and Danish Rebels keen to take back control of their own country. With Bomber Command suffering devastating loss of planes, the powers that be in England look to ways of saving the fleet, in order to draw German forces from the Russian onslaught to change the direction of the war. Whereas most secret service employees and military masterminds are men this book has a woman leading the charge. Being of English Heritage but fluent in Danish sets her apart from the competition and elevates her to a position previously unheard of. The lengths she goes to in order to provide intelligence to the English Government through her network of Nightwatchmen in Denmark provides the answer to how to protect Bomber Commands precious planes. In the end the secret is placed in the hands of the most unlikely pair to go up against such mortal danger. If they can manage to get the secret photo’s out of Denmark from right under the noses of the Germans it could change the fate of the war forever. All in all a good book to finish the year. 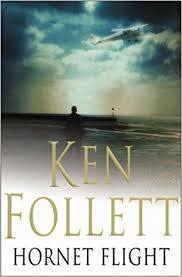 I would recommend it and as usual Ken Follett did not disappoint. 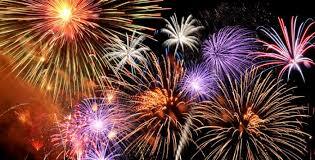 Happy New Year and thank’s to all the people who read my posts and engaged with me online this year. I wish you all a Happy 2018 and that you find all the happiness you want next year. I first heard about this book after attending a writing workshop as part of the Chorleywood Literary Festival probably 2 years ago now. I got my copy signed by the author on the day who was helping us with our writing skills. 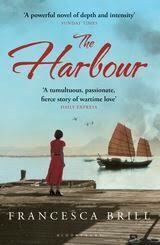 It’s a love story based in the time of the Japanese occupation of China. The characters show a range of people and how the war affected them in different ways. I have to say I didn’t take to the story as I have with most books I read. I didn’t feel invested in the story and my enjoyment stalled because of it. I got a bit more invested towards the end but the middle was a bit lacklustre for me. I also found a couple of spelling mistakes and name changes and once I notice that in a book, which happens more than you would expect I lose a bit of interest. Not every book is going to appeal to every person and I’m sure there are people who loved it. But for me it was lacking something that really pulled me into the story and made me care about what happened to the characters in the book. 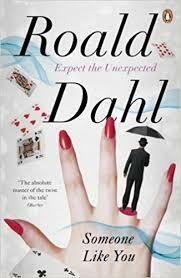 I haven’t read a Roald Dahl book since I was a kid so it was nice to read one of his adult books. I took this book on holiday with me and it was ideal with a collection of short stories to dip in and out of. Plenty of twists and turns and suspicious people to keep you interested. It was interesting how much of Buckinghamshire features in the stories. As a child I’d never heard of Buckinghamshire but as an adult I’ve spent a fair bit of time visiting the Chiltern Hills so I could almost picture the places in the stories. I would definitely recommend it, especially if you enjoyed his books as a child. This book was given out as part of World Book Night to be forwarded on and chart its travels so I hope the next person enjoys it as much.